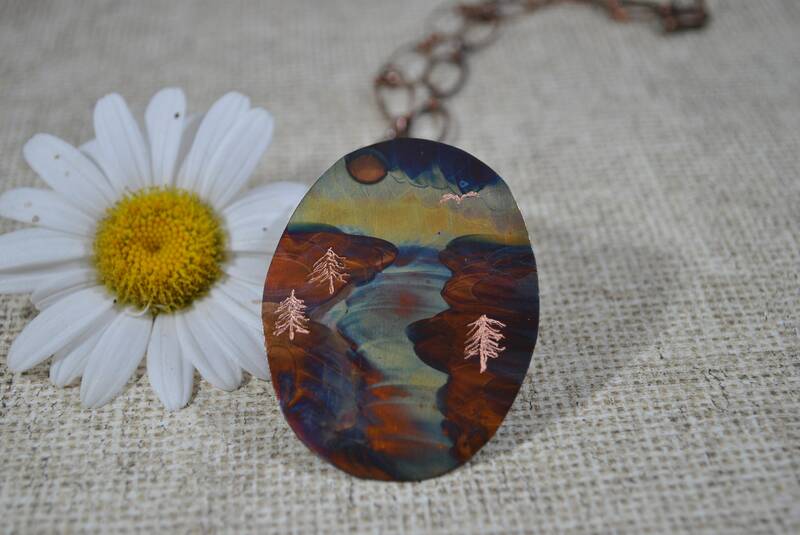 This gorgeous copper pendant has been flame painted with a torch. No other chemicals or paints have been used. Each piece is completely unique and OOAK. 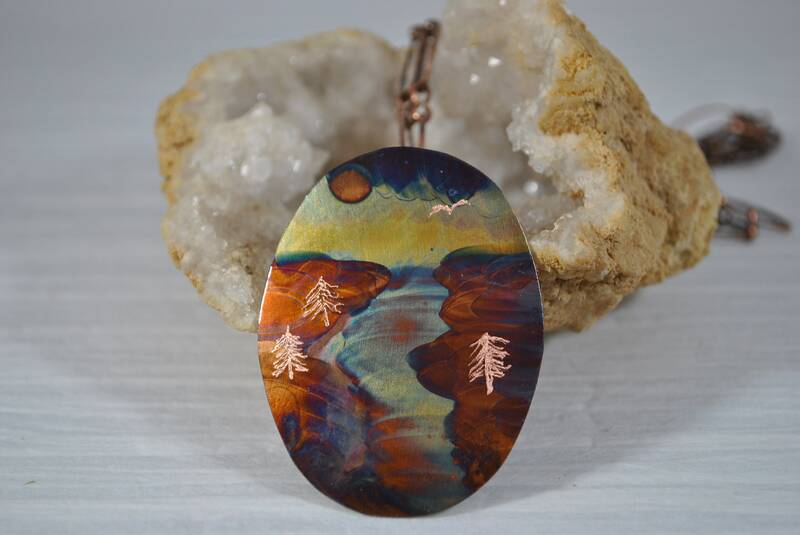 Copper will turn different colors when exposed to heat and it is the artist's fun to control that heat and select the individual patterns. 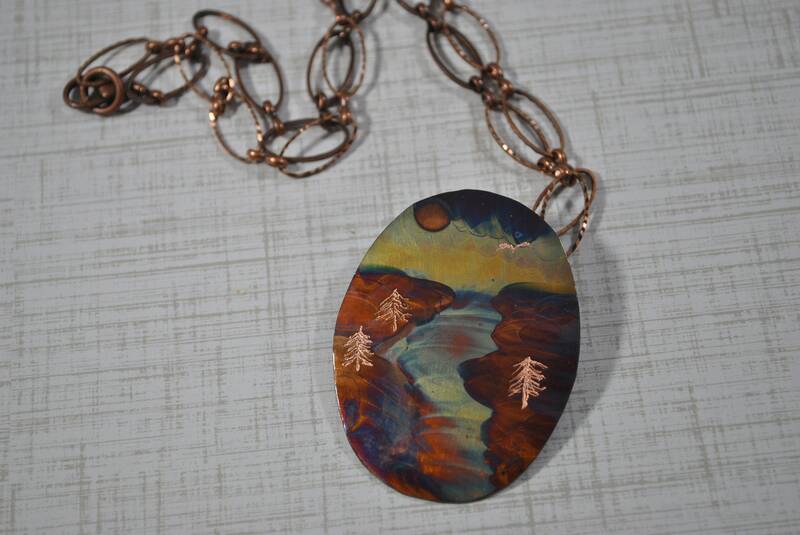 You will love this piece which is created to look like a river landscape with etched trees and a bird. 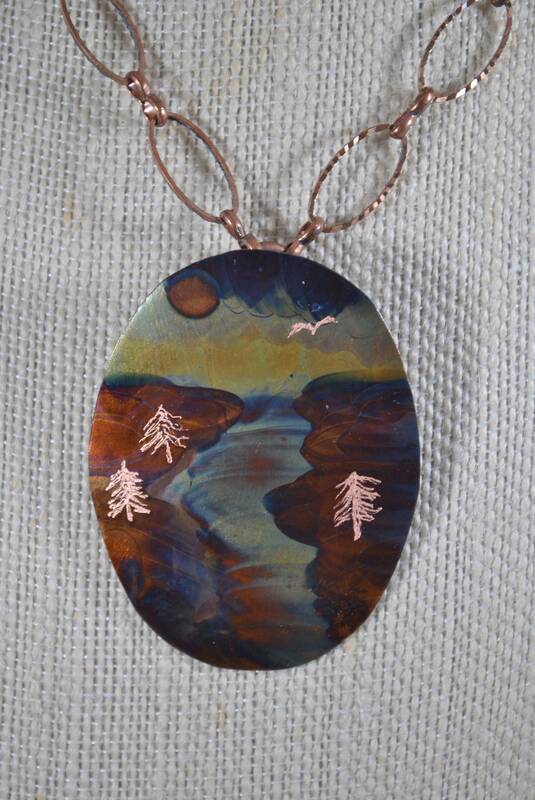 The pendant is hung on a copper chain that complements it's colors.